BRIDGEPORT, Pa. (WPVI) -- A man has been arrested for the stabbing death of a woman on Monday afternoon in Bridgeport, Montgomery County. James Bruce Puia, 51, is charged with first-degree murder in the death of Donna Marie Donato, 62. 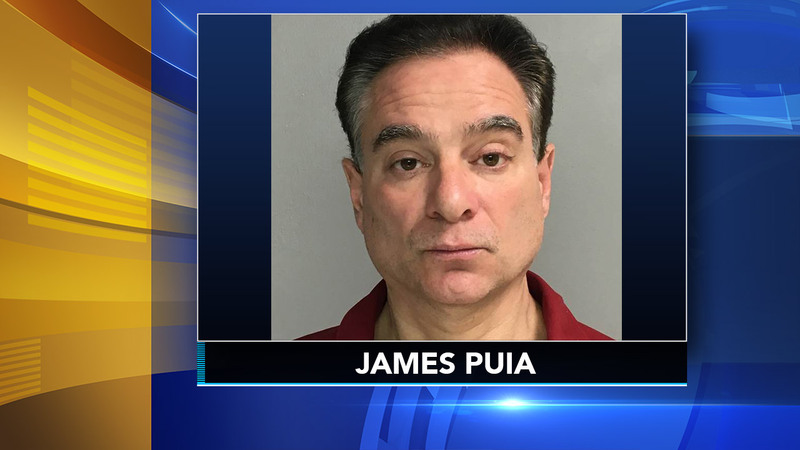 The Montgomery County district attorney's office said police responded to a report of an assault on the Route 202 DeKalb Street bridge at 3:06 p.m.
Once on the scene, they allegedly found Puia with blood on his face and hands, and Donato's body on the walkway. The suspect and the victim had previously dated, investigators said. Puia is being held without bail.